There’s this girl at the orphanage I cannot stop thinking about. 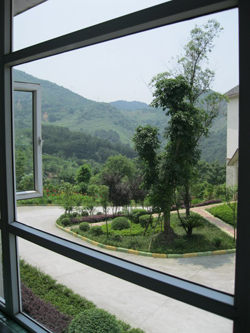 She is four years old and afflicted with cerebral palsy so severe that she spends most of her time in a special chair facing windows that give a view of mountains along the Yangtze. She watches, she waits, and when she is approached she smiles radiantly. I have found if I tickle her on her neck she gurgles in delight. Parts of her are locked inside, but to me she is more open than closed, her story still before her. I touch her the way I do my own children, with a desire to stay near to her, with gratitude that she lets me do it. Everyone I know who visits the orphanage says something like this afterwards: There is this child I cannot stop thinking about. 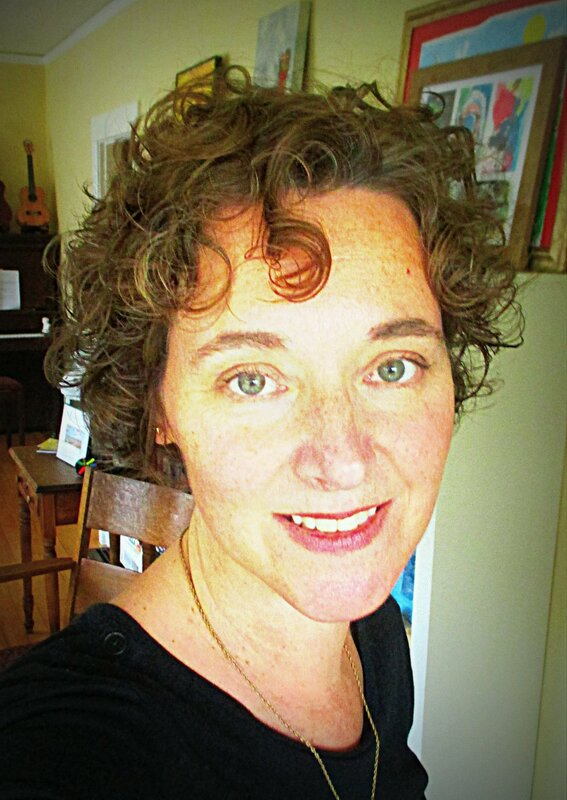 It could be a boy with one arm who you teach to bounce a ball, a girl with blindness who teaches you how to walk the hallways with your eyes closed, or a newborn with a cleft palate so wide half his face appears at first to be gone. Yet it is his eyes, those of newborns everywhere, that you look into as you hold him on your lap. I have seen visitors succumb to the immediacy of these children. New fathers, the infants they are adopting in their arms, scan with stricken faces the watching toddlers who will not be adopted that day. New mothers refuse to carry their newly adopted child back inside to where the other children wait. I know what some of those women are thinking: “My child will never go back there.” I know they are afraid they will crack if they see the children in their cribs, in the walkers, especially the ones who will not ever be adopted. Of course there is more to the story for each and every one of these kids: How they ended up in an orphanage in the first place for one. What are their daily lives like when we are not there? Do aid workers help more than hurt? By focusing on our desire to help do we miss the big picture? needs of hundreds, even thousands of the children in his work, and here I was asking him to give up one of his staff to help kids far out in the countryside, a site not attractive to these young, new professionals. 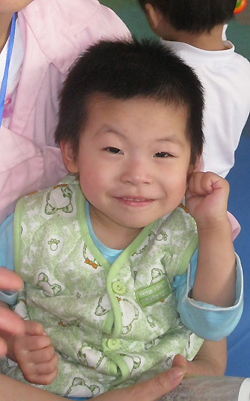 China is dismally understaffed when it comes to doctors and therapists who are trained to work with children with disabilities. I was asking him to devote precious staff time to comparatively fewer kids in need, including that little girl with CP at the orphanage, her face to the window. That one child. But there’s this child I cannot stop thinking about. I have sat beside that little girl and looked where she looked. I have felt her loneliness, have imagined the fear she must have experienced when at two years old she was left at the orphanage gate by someone in her family. It’s not hard to imagine being abandoned because you are not perfect, if you stop and let yourself think about it, if you sit with your arm around someone who has been through it. If you’ve been through it. Oh I know it’s not up to each of us to save everyone who comes across our path. I have known people crazy enough to do try that and they burn out. Well not all of them. Some manage to give and give more and still feel motivated to act when they see yet another person in pain. Honestly I find those kinds of leaders–because that is what they are—to be frightening. And yet increasingly those are the people I am drawn to. 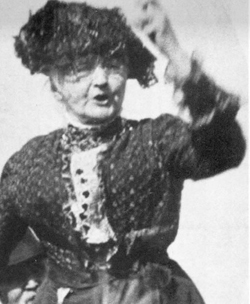 Mother Jones giving one of her fiery speeches. “Pray for the dead and fight like hell for the living.” I copied this quote into my notebook yesterday, the one I use to take down information for the novel I am working on. These words were said by Mother Jones, a tiny woman who stood up for the rights of coal miners in the early 20th century. She wasn’t a coal miner. She had lost her husband and four children to yellow fever. Yet years later she became a union agitator who risked being a fool and the wrath of big coal companies to fight for the men and their families who were suffering. It was about justice for her. Maybe not at first. Maybe it was simply a desire to speak on behalf of someone who could not speak or wasn’t being heard, someone who captured her attention. Maybe she didn’t have much to lose by then: her children were all dead, and she was living in poverty herself. But there’s always something to lose once you start caring: Sleep, time, money, people’s good opinion of you, failure, anger from people who don’t want you to speak. You can risk being a fool. Being held by her special caregiver. A small donation will help pay for this little girl to continue to receive this kind of love. I’m going to do it anyway, take that risk. Because of this one child I can’t stop thinking of, this girl no one will adopt. Because I believe that this little girl is worth a $20 donation from people who don’t know her. Because when she’s not looking at the window she’s watching the other children run about her. It doesn’t take much for anyone who sees her to imagine that this little girl wants to play too. I promise I’ll tickle her neck for you when I see her this coming summer.